Often, we all overlook what works for us. For instance, when email marketing is the real money maker, our focus is on social media. 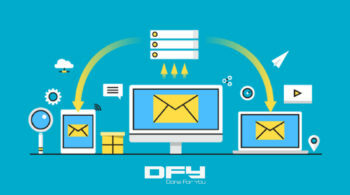 Within email marketing, it’s transactional emails that boast of remarkable open rates and click through rates, but instead we end up spending time and effort on regular email broadcasts. It’s not to say that social media isn’t worth your time or that you shouldn’t bother with email broadcast campaigns; it’s just that you can’t overlook a particular digital marketing channel over another — because of inertia, lack of resources or knowledge, or just because you never thought about it. According to MailJet, open rates for transactional emails range from 30% to 40% (as compared to only 15 to 25% open rates for regular marketing emails). Transactional emails are almost always overlooked as a particular email marketing campaign type that can bring in extra sales. 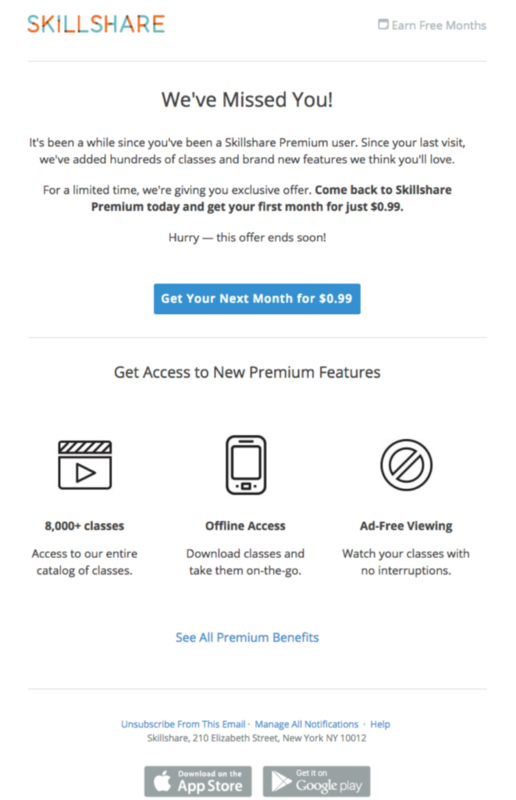 For most businesses, transactional emails are an afterthought. 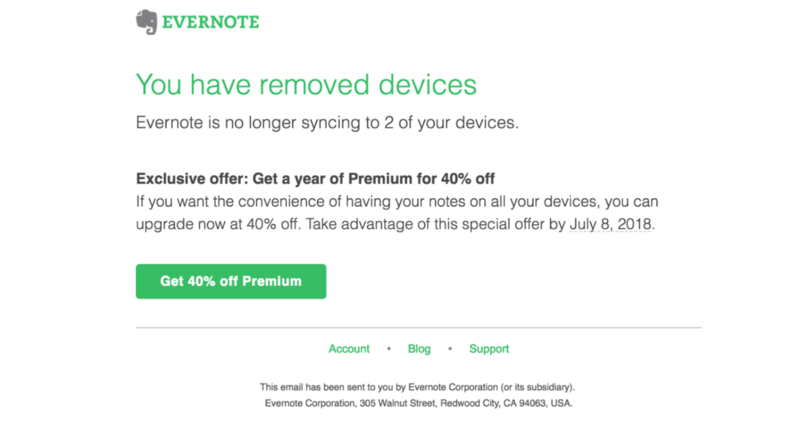 Take a look at what Evernote does when they send you a reminder that your annual subscription has ended, when they notice that you are getting close to your subscription date, or when you remove some of the devices you use from auto syncing. This could have been just a reminder or a notification that you’ve successfully removed two of your devices from syncing. But with simple messaging, on brand, and a simple offer to help you save on your next subscription (for a full year), Evernote is throwing its gates open for existing subscribers to continue with their subscriptions. Could you do something like this for your business? Every email that goes out to welcome your customers thanking them for their order is an opportunity for you to upsell. You don’t have to overdo it but you can use notifications during a specific month or based on the number of times a single customer placed an order (regular customers?) and send out ultra-specific offers to those customers or during specific months. The average rate at which shopping carts are abandoned is anywhere from 60 to 75%, according to Baynard Research. Shopping cart abandonment is killing e-commerce. 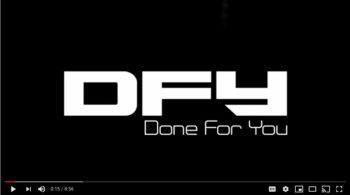 If you are selling products or services online, chances are that you are already suffering from it. 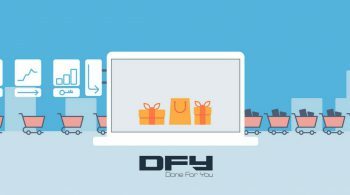 Shopping cart abandonment drains money right off your shop pages and there’s nothing you can do about it. You can, if you are aware of the problem and that you are willing to do something about it. Sending out timely shopping cart emails is a powerful strategy if you do it right. Remember the marketing mantra which goes something like, “It’s easier to sell to existing customers than try to target new ones”? Winback emails or re-engagement emails help you do just that. For every business, there are customers who bought once but never again. SaaS businesses, membership sites, subscription-based businesses have inactive customers (those who were customers once but aren’t active now), and several other use cases. 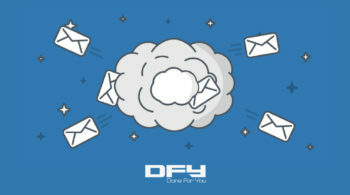 Winback emails make for terrific ways to get your inactive customers back. As if Shopping cart abandonment wasn’t a major issue, you run the risk of suddenly running out of stock with a few popular items on your eCommerce store. Customer comes to your store, selects a product (s), and sees the “Out of stock message”. Worse still, she goes all the way to checkout page places an order and then receives a notification that the product is out of stock. What happens then? Most eCommerce stores don’t have anything more than “We are sorry, but the product you ordered is out of stock” message. Transactional emails don’t just have to do the heavy-lifting like to send out a message, a notification, or a reminder. 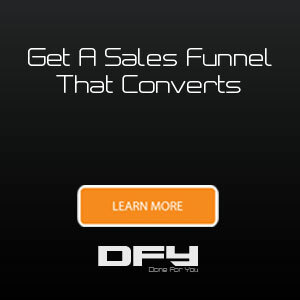 They can actually do just as well in helping you increase revenue and profit compared to your regular email campaigns. 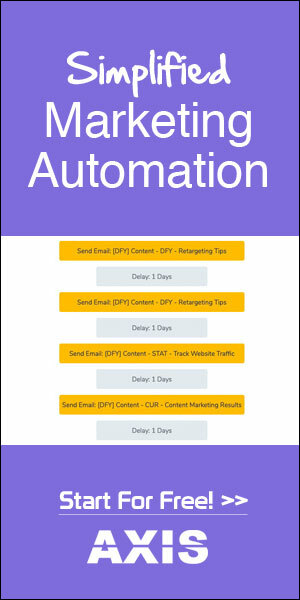 The question is: Are YOU using transactional emails to increase your profit? Check out our Attract. Engage. Profit Webinar, get access to our email marketing handbook or get on a scheduled call with us to discuss your marketing strategy.